Welcome to the first Sunday of Advent. I love celebrating Advent as a believer. Growing up I loved Christmas as a kid. But as I got older Christmas took on a lot of stress. Sure I loved the time I had to spend time with my family and even to give gifts to my children that they had been asking for through out the year. One of the traditions that my family has is before we open any gifts we sit and we read the birth of Christ story in Luke. We do this to center ourselves on what is important. It is not the gifts we given instead it is the Gift that God gave to us. Jesus Christ. But Christmas has become so commercialized that many of us have a hard time keeping that as the focus. That is why I love Advent. You see Advent has not been adopted or better yet co-opted by the world. Instead the meaning has not changed since the 4th century when it was created. The word advent is a Latin term which means “coming.” So we use these weeks leading up to Christmas as a chance to look forward. We look forward not the opening of presents or the arrival of a mythical Santa instead we look forward to the coming of our Messiah. Just as the children of Israel looked forward to coming of the Messiah we do the same for His second coming. While there are differences between us as redemed people of God who have accepted by faith the work of Jesus on the cross and those in the Old Testement who looked forward to a coming Messiah, the longing is the same. Jesus, the Messiah, the light of the world, our Savior. Advent is a season of great expectation. Our theme this year will center on the star as our guiding light. 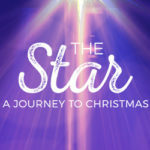 Now, the Star of Bethlehem has taken a central place in the story of our saviour’s birth. The record of wise men from the East who followed a star is mentioned in Matthew’s Gospel account of Christ’s coming (Matthew 2). There is much discussion by scholars and scientists about what the star actually was, who the wise men were, and when the cosmic event of its appearance took place. the truth is that the light of a star led people to Jesus, even if they were still on their journey the night Jesus was born. (Most people place the wise men showing up a year to 2 years after Jesus’s birth.) You see, the star then and now is a guide that ultimately leads to Jesus, the light of the world. This Advent season, I want to encourage all of us to look to the light. In a world of such darkness that we live in today, will you peer through the darkness of your life, no matter what that may be, and look for the glimmer of hope? Will you step toward the light of the star even if it seem hopeless? Is this season of your life overwhelmed already by any number of struggles: financial stresses, relational dysfunctions, memories of loss, commercialized expectations? We’ve all been there at some time or another. We may be there now in some form or another. But let me encourage you—that’s exactly where hope shines brightest. How do we follow the star on a journey of hope? How can we purposefully live this season of anticipation in light of hope? I’d like to suggest it starts with acknowledging the darkness around us, embracing the wait, and committing to trust. Right now it doesn’t seem too exciting. It’s actually kind of hard to even see the light it puts out. However, if we found ourselves in complete darkness, we might feel very differently about this little gadget. Now, surrounded by darkness, this flashlight would suddenly look much brighter when it shines in the darkness. It could actually make the difference in being able to find our way or not. And Psalm 8 says, “When I consider your heavens, the work of your fingers, the moon and the stars, which you have set in place, what is mankind that you are mindful of them, human beings that you care for them?” (Psalm 8:3–4). God’s glory is seen in the stars. But the thing about stars is they can’t be seen in the light. They are there, but we can’t see them. In fact, they are seen best on the darkest of nights, when there is no moonlight, away from the lights of the city. The darker the setting, the brighter the starlight. This time of year, holiday feelings can artificially light our lives. Or we may seek out our own flashing distractions to try to distract us from the gnawing darkness within. But facing the darkness and calling it what it is allows us to see true light. It’s when we acknowledge the darkness that we can see the star that leads us on the journey. As we journey together toward Christmas this Advent season, let’s be honest about the darkness we find ourselves in—both darkness in the world around us and darkness within our own hearts. We live in a world full of darkness and fear, but it is into that great darkness that an even greater star appears to light the way. The Bible tells us that it was also a pretty dark time for the people of Israel when Jesus showed up. The Old Testament prophets had prophesied of a Messiah, but it had been a long wait—hundreds of years of waiting. “Therefore the Lord himself will give you a sign: The virgin will conceive and give birth to a son, and will call him Immanuel” (Isaiah 7:14). Isaiah talked about the coming light and the present darkness, and that darkness continued to grow through the centuries. “The people walking in darkness have seen a great light; on those living in the land of deep darkness a light has dawned” (Isaiah 9:2). Both of these verses were spoken long before Jesus was born. The people of Israel lived in that space between promise and fulfillment. For over 400 years they waited for the promised deliverer. They were desperate for a deliverer. Honestly, many of them thought God had forgotten them, especially as they lived under Roman oppression in the time of Herod. Today we share that common experience of darkness and desperation. Nothing can rescue us except God. We can find and continue to draw hope, knowing that Jesus entered our darkness that first time. 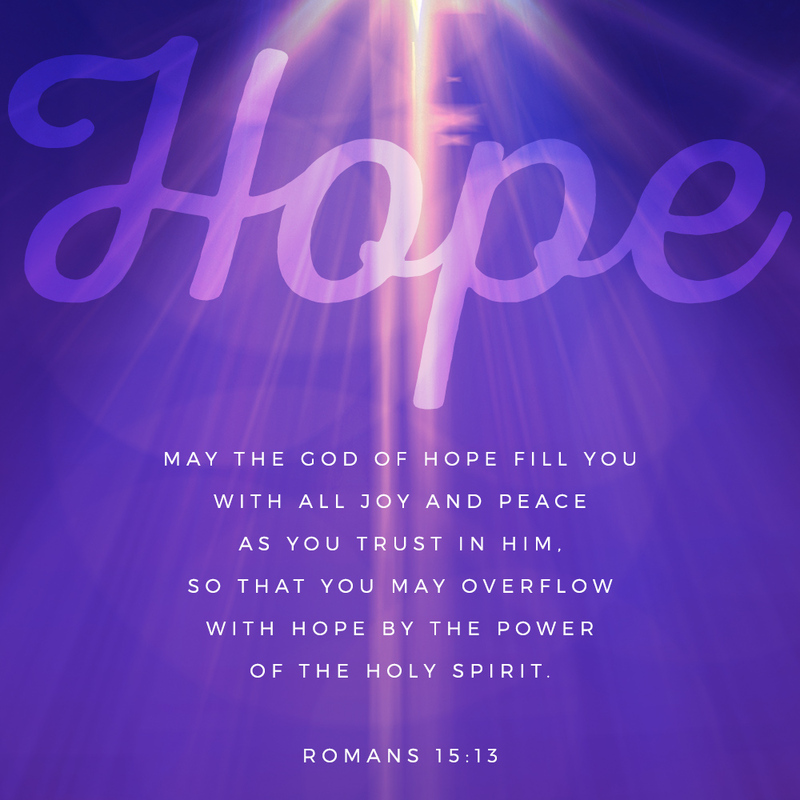 His Spirit will fan even the smallest spark of hope within us toward a daily hope rooted in the work of Christ to overwhelm the darkness of sin and death. It’s not an instant process, but it’s a real process that gives us what we need through the journey. When we think about the word hope, we often think if this idea of a wish. Something we long for but we have very little ability to see it accomplished. But that is not the idea of Hope in scripture. In fact in scripture the idea of Hope is dramatically different. The word HOPE actually is a confident expectation that God will come through. The word that better describes the idea of Hope in scripture is TRUST. OH, but many of us have trust issues. Either we don’t trust because we have been hurt by someone who has been untrustworthy, or we are just to impatient. When it come to God we find someone who is totally trustworthy. Some may struggle with that idea, but He has never failed to keep a promise. He may not always do what we want but he will always keep His Word. God is trustworthy that is His part, but the impatients is our part. Who likes waiting? Does anyone like waiting? We live in a culture that does everything possible to reduce the amount of time we spend waiting! I don’t think most of us would do very well living in the days of the Bible. The people of Israel in the Bible knew all about the long wait. Since Genesis, in the very first book of the Bible, when sin entered the world, we see that God offered the promise of hope. In Genesis 3:14–15, God cursed the serpent that tempted Eve and said that through her offspring will come one who will crush the serpent. This was Jesus, the source of hope from the very beginning. God had a plan of hope from the start. But constrained by the time of our world, the waiting seemed like forever. Advent is a time of waiting. While it feels unnatural, there is great benefit in embracing this season as we anticipate the coming of Jesus. The waiting reminds us of where our hope is set. It allows us the time and focus to hear the distant rumble of thunder, the promise that our hope will be fulfilled. And while we wait to celebrate Jesus’s birth, we also wait for our true hope to be fulfilled when Jesus comes again. This will be the ultimate fulfillment of our deepest hopes. The apostle John described it this way: “After this I looked, and there before me was a great multitude that no one could count, from every nation, tribe, people and language, standing before the throne and before the Lamb… Never again will they hunger; never again will they thirst. The sun will not beat down on them, nor any scorching heat. For the Lamb at the center of the throne will be their shepherd; he will lead them to springs of living water. And God will wipe away every tear from their eyes.” (Revelation 7:9, 16–17). Will you allow this Advent season to serve as a reminder of the confidence we have as we wait in hope for what we do not yet see? Will you seek the light of the star, no matter how faintly it might first appear to you, and draw hope from its growing light? I don’t know about you, but my natural images of waiting and journeying are different. One involves sitting around; one involves moving. But the concept of waiting throughout the Bible is one of active waiting. We wait with expectant hearts, but we are constantly moving forward on our journey. What an excellent description of Advent! Waiting means being active, present in the moment while still anticipating where we are going. That’s not easy! It takes strength and courage, but those we can draw from the very source of our hope. As the psalmist encouraged: “Be strong and take heart, all you who hope in the Lord” (Psalm 31:24). So what does that look like in real life? Peter gave us a glimpse when he said, “Therefore, with minds that are alert and fully sober, set your hope on the grace to be brought to you when Jesus Christ is revealed at his coming” (1 Peter 1:13). Hope is about waiting, but that waiting involves a commitment to being present in our journey of obedience. Alert, sober—these are words of expectation and active anticipation. The good news in all this is that wherever you are on your journey, it’s okay—keep following God’s light. Sure, we have four weeks of Advent that lead to Christmas, but that is human-created calendar timing, not God’s timing. Advent is about the deadline we have, The One that only God determines that we are to be prepared for. It’s not about finding all the answers or checking all the boxes. It is about preparing. You just have to show up and be willing to follow God’s lead. Wherever you are, you are not too late. God’s timing is perfect. And He wants to fill your heart with hope for the ultimate healing and life in His Son. That is a reason for hope that will fuel your journey through Advent and far beyond. What about you? Do you trust Him? Have you put your trust in Him as your savior and leader? You could do that today, HE is worthy of your trust. Prayer: God, thank You that You enter into the darkness of our world and of our hearts with light. Help us during this season of Advent to live with expectant hope and trust as we wait not for the birth of Christ at Christmas, you already did that but for the complete fulfillment of hope when Christ comes again. Help us to be looking and longing for that day. Amen.